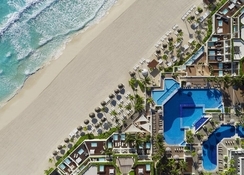 Grand Oasis Sens is a luxury adults-only resort in Cancun with easy access to a gorgeous beach on the Caribbean Sea. This 5-star beachfront property has a backdrop of the Nichupte Lagoon and boasts a secluded environment that's brimming with warm hospitality and excellent guest facilities. Grand Oasis Sens caters to guests of 21 and over, and features an abundance of guest facilities including 12 restaurants, 11 bars, two beach clubs, three swimming pools, lush gardens, well-furnished rooms and luxury suites for a delightful stay for couples and honeymooners. There are a host of recreation opportunities in the hotel, too. Unwind with a cocktail in hand on the sun loungers and gazebo-style shades by the lagoon-style pool and tumbling waterfall, get pampered at the luxury spa, make a splash with non-motorized water sports at nearby AquaWorld Marina, or tee off at the nine-hole golf course just next door to Grand Oasis Cancun. 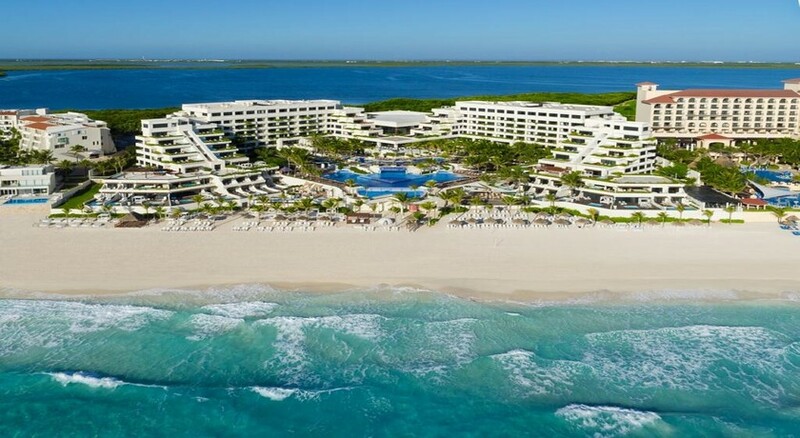 Grand Oasis Sens is situated on a powdery white-sand beach in Cancun offering beautiful views of the Caribbean Sea and the Nichupte Lagoon. 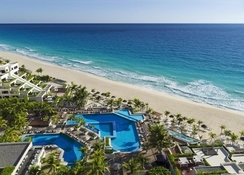 The resort is 14km from the airport and 21km to Downtown Cancun - where you'll find plenty of action with restaurants, bars, shops and famous sights. 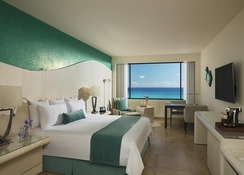 The Grand Oasis Sens offers accommodation in two categories - Ocean View Rooms and Lagoon View Rooms. Both choices are well-furnished and offer gorgeous views (the clue is in the title), plus a range of quality amenities including air conditioning, en-suite bathrooms, cable TV, WiFi, king or double bed, TV, private bathroom with shower and bathtub, hairdryer, iPod dock, telephone, mini bar and safe. Grand Oasis Sens offers guests an excellent gastronomic scene, with seasonal cuisine sure to satisfy all tastes. The hotel's wide range of restaurants are dotted throughout the resort and consist of Mexican, Japanese, Arabic, plus a mixture of gourmet and barbecue and grill-style cuisines. 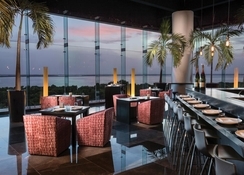 In addition, the hotel lounges and bars include everything from a swim-up bar to a gastro bar. 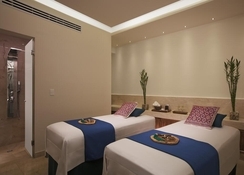 The hotel allows couples looking for a romantic getaway to lose themselves amidst the luxury and warm hospitality. 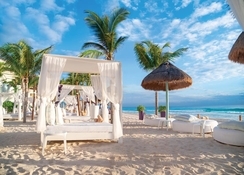 The Sensoria Spa provides relaxing treatments, the wonderful lagoon infinity pool is equipped with loungers and parasols, and there's the white sandy beach (and beach bar) just steps from the hotel suites. Active guests can enjoy non-motorized water activities including kayaking and paddle boating at the nearby AquaWorld Marina, work out at the on-site gym or play a round of golf at the nearby Grand Oasis Cancun’s nine-hole course. There are nightly entertainment programmes like live concerts, night club performances, DJ performances, fire and drum shows and aerial acrobatics. really was a great hotel. really friendly staff who always kept the hotel clean and tidy. pool area was amazing with great view. we went at a good time of year in december so wasnt too busy. weather was still nice, a little overcast on some days but the hotel was briliant to stay in when outside was chilly. only negative is that the restaurants wasnt that great. choice of food could be better. incorporating different cuisines. not that close to the town. you will need to get the bus or taxi.